LightStart LABS is our name for the ideas we have internally to create new and exciting digital products. We handpick the best and most innovative ideas we have ourselves and begin building them into game-changing products and get them to market in the quickest, leanest way possible. Each digital product typically has its own IP, development roadmap and revenue stream. Where needed, we may also develop each LABS project by raising investment into each project separately. This then allows us to build a dedicated team around each individual product and ultimately grow and exit/sell each product when the time is right. 1M small businesses in the bookable services sector lack the time, money and knowledge to setup truly effective online booking and payment systems. We found a gap in this market for a simple mobile booking and payment platform for small businesses to give both new and existing customers to an easy way to find them, favourite them, book them and pay them. 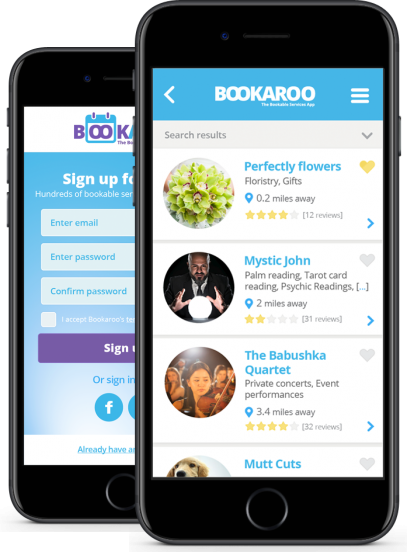 Bookaroo is free for all businesses who want to manage their bookings online, but a £20 per month subscription fee for a Pro account will also allow them to manage payments. We have already designed and built the entire platform including its Payment, Booking, Confirmation, Cancellation, Ratings and “Slot” Engines. The MVP is due for completion and launch October 2017. The tech and digital scene in the UK is booming right now. However, speaking to those involved in the sector, there is a general consensus that digital hubs, communities and events across the UK are somewhat “siloed”. They each have their own network of members and followers who may or may not be aware of the other highly relevant networks available to them. The UK Digital Network has been born out of a desire to solve this problem and connect up the silos. 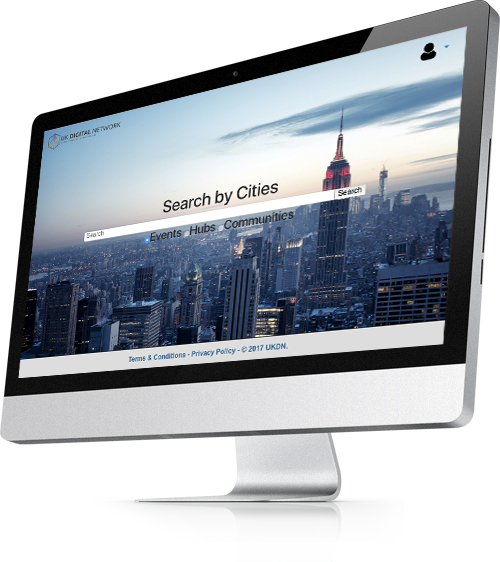 It is therefore a new place for all things digital in and around the UK. The UK Digital Network will be the place where people and businesses can discover and connect with all the existing digital networks – digital and tech businesses, events, hubs and communities in and around the UK. Growth of the UKDN will be be funded through sponsorship from regional companies interested in increasing their involvement in the digital scene, as well as to raise awareness of their brand in the tech sector. The platform is currently under development and will be launched in early 2018.